Industrial Silencer is one of the most important silencers in use today. In an Industrial Plant fan installation is most predominant noise source. Industrial fans normally deliver a large volume of air at relatively low static pressures. The rotating action of vanes produce a broad band noise spectrum however, the noise in mid to high frequency range is heard to be louder and requires to be treated for achieving noise control. Generally, Industrial fan silencers are used at intake and discharge of fan installations for treating air borne noise. 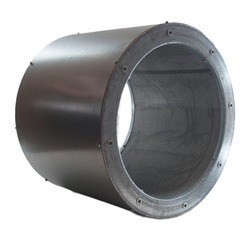 Fan silencers usually require absorptive type design as they are well known for better attenuation. The effectiveness of absorption material progressively reduces at frequencies above. Looking for Industrial Silencer ?